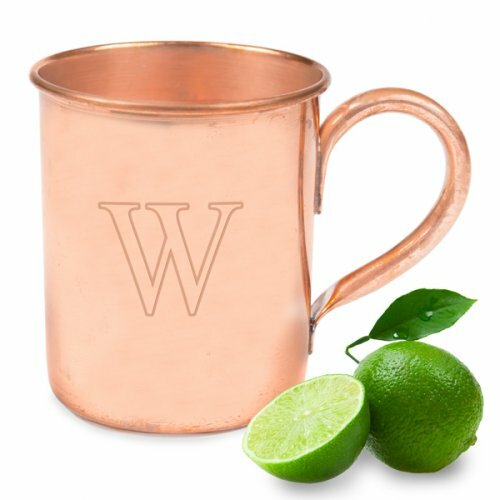 This traditional personalized Moscow Mule copper mug makes for a surprisingly contemporary Christmas gift. Made from 100% copper, this attractive mug is etched with a custom single block initial, and finished with a shapely handle. It makes for the perfect holiday gift for a special person that already has it all!